1. In bowl, combine parsley, rosemary, lemon zest and juice, canola oil, mustard, salt and pepper. Place half of mixture in resealable plastic bag. Add garlic and lamb to bag. Seal and refrigerate 8 hours or overnight. Cover remaining half of spice mixture and refrigerate. 2. Preheat oven to 450 °F (230 °C). 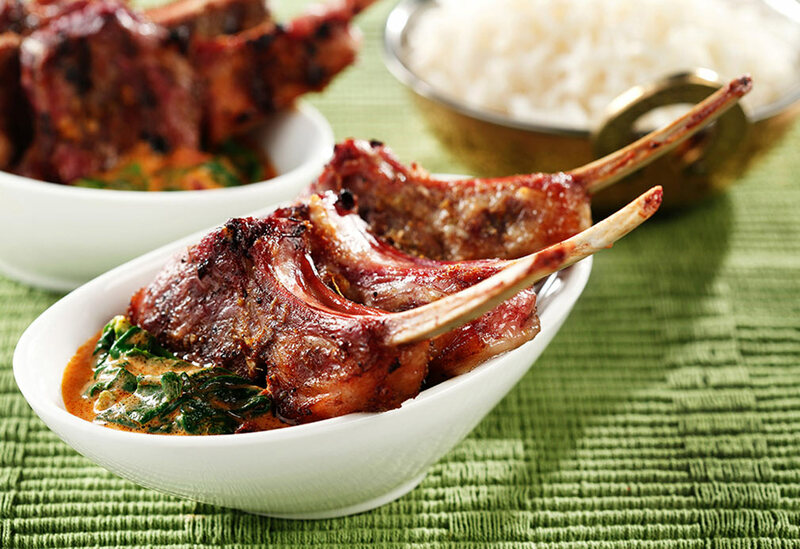 Place lamb on wire rack; place in roasting pan. 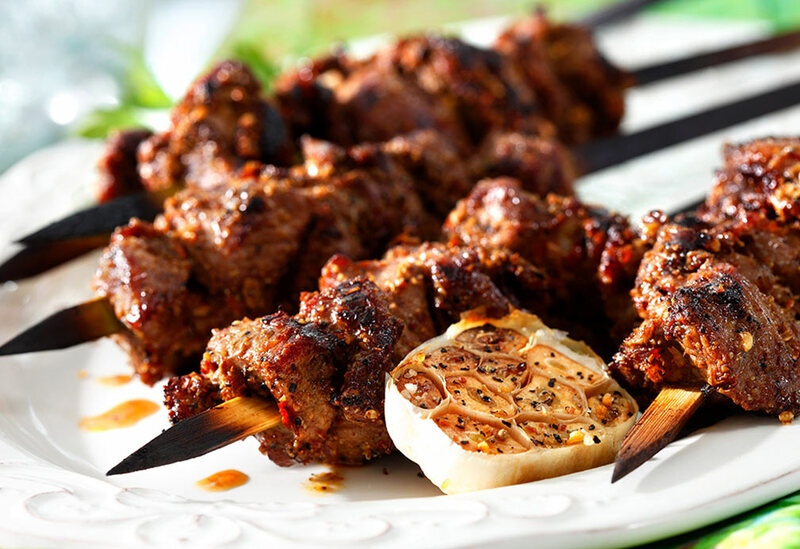 Pour excess marinade over lamb and let stand 30 minutes. Bake 20 minutes. 3. 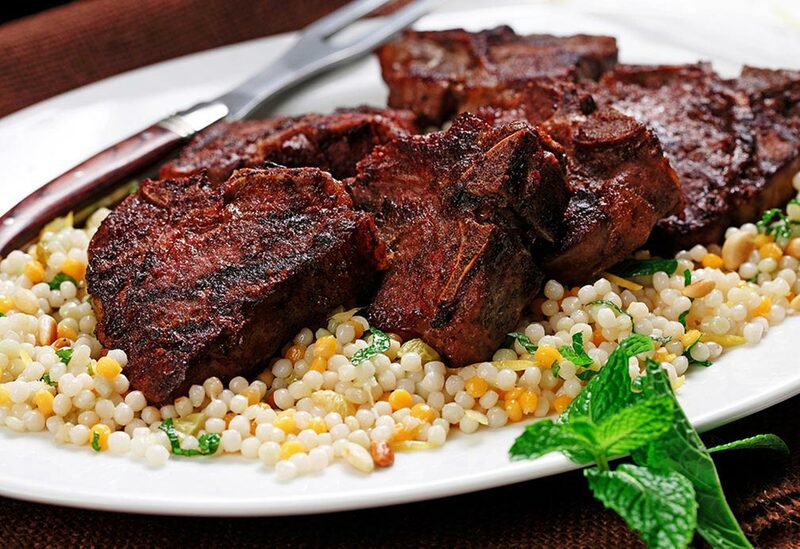 Reduce heat to 375 °F (190 °C), bake 55-60 minutes or until thermometer inserted in thickest portion registers 145 °F (60 °C) for medium rare, 160 °F (70 °C) for medium and 170 °F (70 °C) for well done. Let stand 15 minutes; slice against grain. 4. In bowl, combine cucumbers and onion with reserved spice mixture. 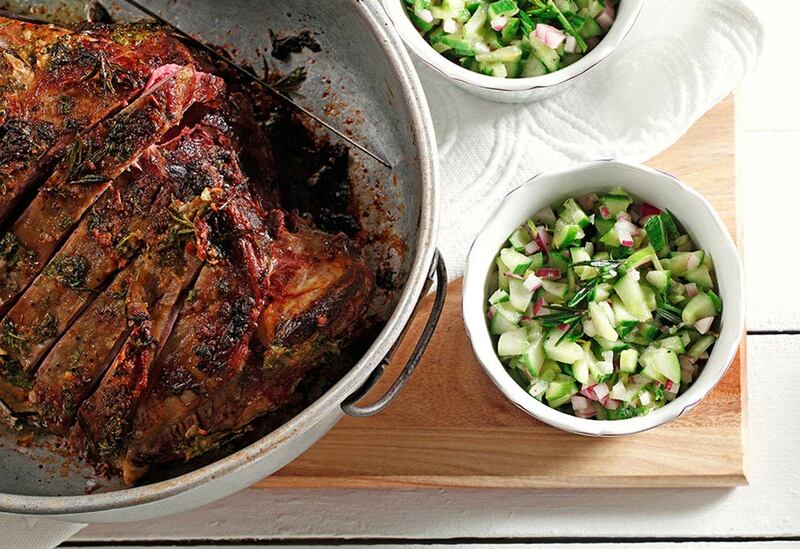 Serve cucumber mixture alongside lamb slices.